Southwick Community Episcopal Church is a church founded in 2004 for the greater Southwick community sponsored by the 67 churches of the Episcopal Diocese of Western Massachusetts. 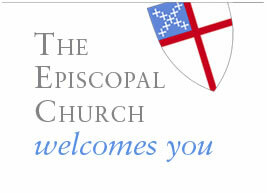 Episcopal is a Greek work that means "Bishop". As Episcopalians, we are led by Bishops and served by priests and deacons. We see every member as a minister, since every person is uniquely created by God for a unique purpose. The Bishop of our Diocese is The Right Rev. Dr. Douglas John Fisher. As Episcopalians, we are also part of the Anglican Church, reaching every part of the globe, a result of 450 years of reaching out to people around the world. While it started in England, the Anglican Church has over seventy million members in 163 countries. We are an Episcopal Church, but our foremost goal is to help people make the connection to Jesus Christ that makes us Christians, not necessarily Episcopalians!